In this Omaha dog training session we worked with an eight-year-old dog named Onyx, who needed help to stop barking at his owners and to stop demand barking. After I arrived I sat down to chat with Onyx’s guardians about their main dog behavior concerns. I learned that Onyx was barking at his guardians, especially when they were paying attention to their infant daughter. His guardians were trying hard to be inclusive of Onyx so he didn’t feel left out since their daughter was born; but inadvertently they were training him to demand attention whenever they gave their daughter attention. Watch the video below to see how we trained Onyx to stop barking. As you can see in the video, Onyx learned how to stop barking very quickly. However, remember that some days he might try harder to use his demand barking to get your attention because it has worked in the past. If he is being persistent it is important to not give in to him, otherwise you are training him to keep barking to gain your attention. If he is barking for a prolonged period of time you can simply leave the room and wait for him to stop before returning into the room that Onyx is in. By the end of the session Onyx was tired and learning how to relax when his guardians were giving their daughter attention. 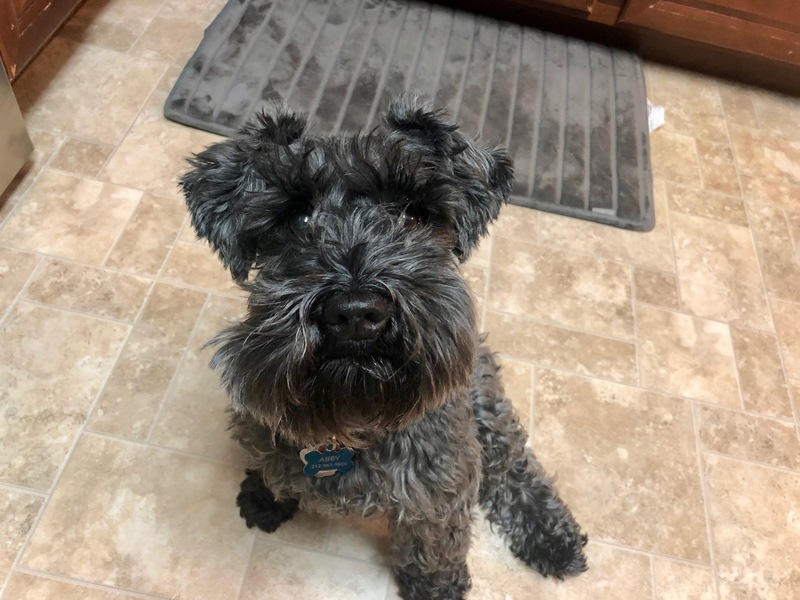 As a Miniature Schnauzer trainer, I suggest that his guardians keep using our Petting with a Purpose technique to reward him for good, calm behavior. We wrapped up this dog behavior session with Onyx’s Roadmap to Success video, which you can watch below.